In a world that seems increasingly dominated by screens and other indoor activities, many parents dream of ways to get their kids outdoors. We’re becoming more and more aware of the problems inherent in an overly sentient lifestyle, but it’s still hard to get our kids moving, especially outside. Is the answer team sports? Scouting groups? Planned activities and playdates? Spontaneous adventures at the local park? The answers are different for every child; some are motivated by group activities, others by nature itself. One possible motivator is the glorious sky above us. Space is a source of fascination for many little ones, a subject that inspires storytelling and pretend play and endless questions. Space and stars and the planets can keep kids busy for hours. But how does a conscientious parent go about nurturing that love or in planting a seed to get those who aren’t currently enthusiastic on track? 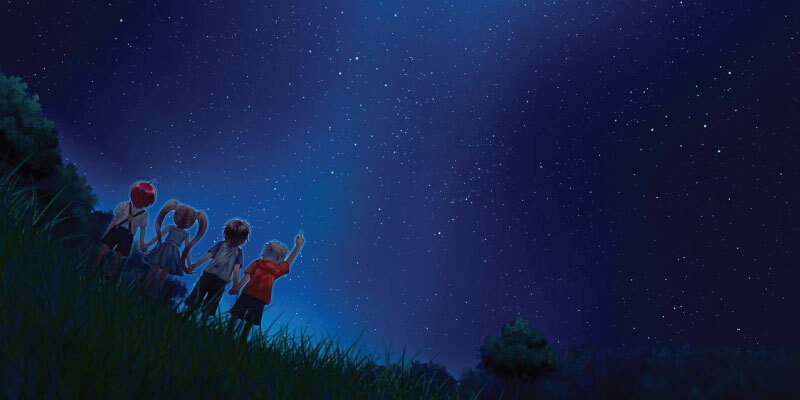 Read on for some ideas to get your little ones interested in the stars. Read all about ‘em! Your local library is full of books about the planets and stars—nonfiction books packed with facts as well as fun stories. Get your kids interested in space travel with books like Hidden Figures, a picture book exploration of the impact four smart women had on the space race, which is based on the big person-novel of the same name (and movie). Talk about the people who actually rode in spaceships, like Mae Jemison, the first African-American woman in space, who is featured in the picture book Mae Among the Stars. Pick up one of the countless books on the planets, stars, the moon, or other planets in our solar system, such as Let’s Investigate with Nate: The Solar System; books like this educate under the guise of a fun adventure story. There are also plenty of fictional books about space travel. 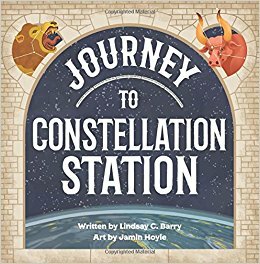 One fun new one is Journey to Constellation Station, a cute rhyming tale that explores many of the popular constellations in our galaxy via an imaginary ride through space to a place where we can clearly see them all. This rhyming book is fun to read aloud, at bedtime or anytime, and kids will love the pictures that are spread across each page. Backyard stargazing. No matter where you live, you’ll be able to see at least a few stars from your backyard (or patio, or front porch, or wherever). Spend an evening stargazing! Go to a relative’s house and stargaze from there! Go camping, and sit around the campfire and stargaze while you eat s’mores! In this day and age, we have so much knowledge of the stars available at our fingertips. Familiarize yourself with a few constellations ahead of time to wow your kids. Or bring a book with you and try to identify constellations on the spot. Plan to view events like lunar eclipses or a meteor shower. But most importantly, get outside! Sign up for a nighttime nature event. Want to teach your kids about the stars, but feeling too clueless to do it yourself? Chances are good that either a nearby national park or your local parks & recreation district are willing to help. Look for campfire sing-a-longs, evening canoe adventures, night hikes, and, of course, stargazing events. Some events may be free; others may cost a bit, but will still likely be inexpensive overall. And, of course, it’s worth the cost in order to get the expertise of a professional! Visit a planetarium. So you live in a big city, and you can see barely any stars in your sky unless you’re willing to drive an hour or more outside city limits. What’s a nature-loving family to do? Go visit a planetarium, of course! Planetariums bring the stars to you, projecting them onto the inside of a giant overhead dome for your viewing pleasure. Kids love planetariums, and many offer programs specially geared towards the younger crowd. It’s an easy way to get an overview of the stars and planets, or perhaps to learn to identify a handful of specific constellations. See what’s nearby and plan a visit! Get crafty. A quick search on Pinterest will reveal any number of activities related to space, planets, and the stars. You can go simple, with drawings and paintings. Or you can get a little wilder. Why not make a mobile to hang from the ceiling? Make paper mache planets? Draw diagrams of specific constellations? Make puppets or finger puppets of astronauts or aliens or whatnot and put on a show? Bake star-shaped cookies. Make hats or sensory space playdough or slime or whatever suits your fancy and keeps your kids busy for a few hours. 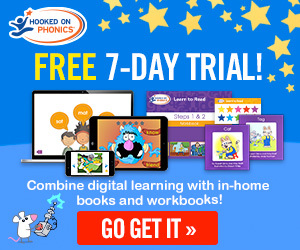 But get hands-on, and see your child’s interest flourish. 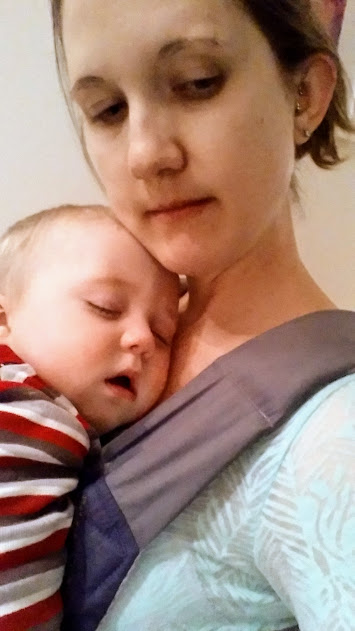 HOLLY SCUDERO is a mom of two currently living in Virginia. She loves reading, writing, vegan cooking, yoga, and, of course, spending time with her family.